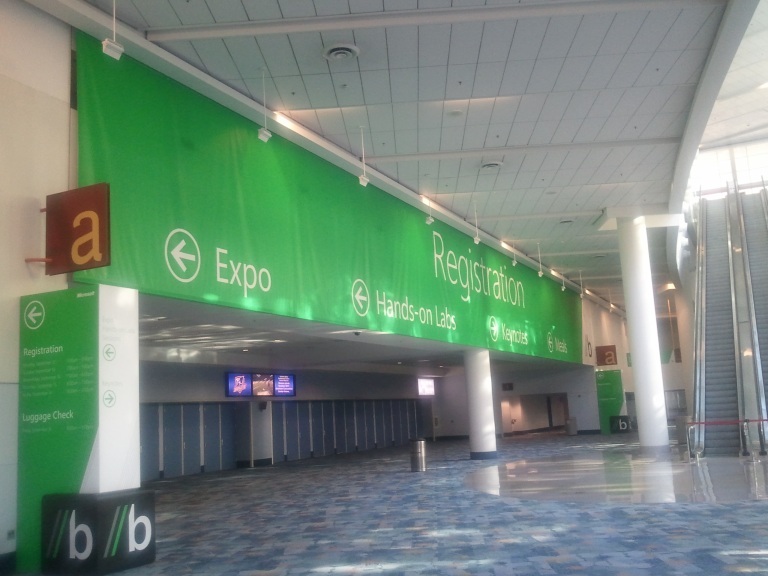 Just a quick update to share with you some pictures before the keynote starts (in about 12 hours now…). Keynote starts at 9:00 Pacific Time. 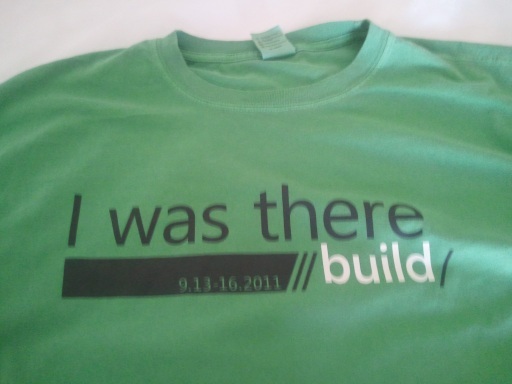 The BUILD conference is now only a few days away and we’re all looking forward next week for the keynote! Remember that even though you’re not coming to Anaheim, you’ll be able to follow the keynote live from the www.buildwindows.com website. 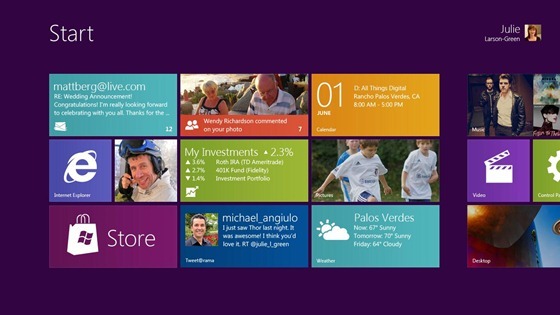 In this post, I’ll like to share a couple of interesting links on Windows 8 and the development story coming with it. Late August, Steven Sinofsky, the president of the Windows division started a new blog on MSDN named Building Windows 8. This blog is similar to the one created for Windows 7. The goal is to start a dialog between the Windows team and the rest of the world. the Metro UI (as shown in the previous image) will be available side by side the standard desktop Windows. The classic desktop Window is “just another app”. The last point is particularly important because it show Microsoft is taking a different approach to go to the tablet world. Rather than having a particular OS (limited to tablet related tasks) they choose to offer a completely new UI (based on Metro) AND the full power of the classic desktop OS. This is probably enough for stopping the “WPF, Silverlight and XAML technologies are dead” discussion. Moreover, a couple of months ago, we started to see various (unofficial) references to a new UI platform codenamed Jupiter. We’re not sure what Jupiter is, but Mary-Jo Foley described it as: “a new user interface (UI) library for Windows, built alongside Windows 8. It will be a thin XAML/UI layer on top of Windows application programming interfaces and frameworks for subsystems like graphics, text and input. The idea is Jupiter will bring support for smoother and more fluid animation, rich typography, and new media capabilities to Windows 8 devices”. Because there is now a XAML team in the Windows division, and because of the strong commitment to native and C++ development lately, we can expect to see the power of XAML available to native code in the Windows 8 world. Another interesting reading about what the potential development story I Windows is available in Windows 8 for software developers, the Longhorn dream reborn? If you want to have more details about what we know so far about Windows 8 features, you can check out this post on Winrumors. Getting ready for the trip (and the last rumors)! The conference is now 5 days away. I’ll fly from Lyon (France) to London and then from London to Los Angeles on Sunday. On Monday, I’ll be part of the UX workshop organized by Billy Hollis. On Tuesday morning, I’ll be ready to the keynote! I’ll be live Tweeting during the conference, so don’t forget to follow me @jalpf. The last rumor suggests that every BUILD attendee might get a Samsun slate running a pre-version of Windows 8… We’ll see next Tuesday! BUILD: Starting the BUILD series ! 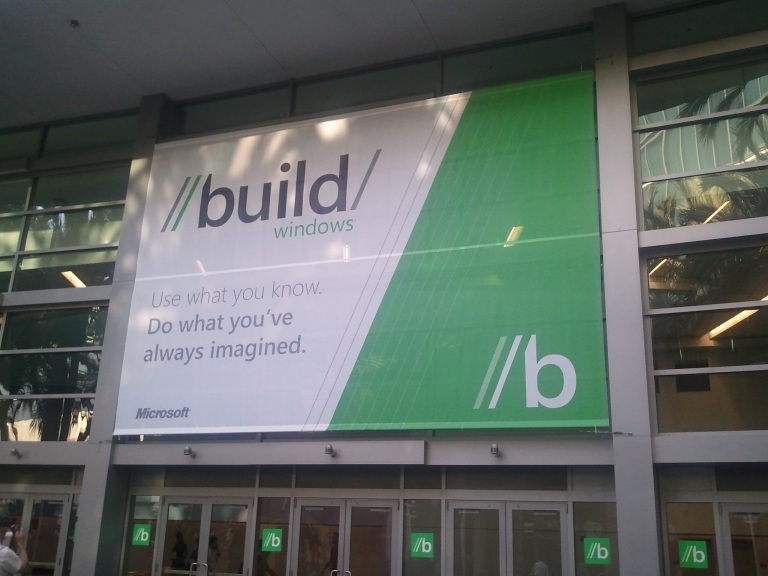 In two weeks, I’ll have the chance to be part of the BUILD conference in Los Angeles. It will be my second trip to the US (my first one was in Seattle in February for the MVP summit) and I’m really looking forward. During the conference I’ll be blogging extensively to share with you the new information. BUILD is the new conference about the future of Windows. We can expect many information about Windows 8 and its new development platform. At this point we know that HTML5 will be an important aspect of this new platform, but without any doubt XAML will also be part of the game. Note that I’m not saying neither “WPF” or “Silverlight” because what is coming with Windows 8 is still unknown. It looks like XAML will be accessible from both the native (C++) and managed (.Net) world. Make sure to check my blog in order to have the latest information about the future of WPF, Silverlight and Windows from a .Net guy perspective !